BMW and K2 partnered up to design a limited-edition BMW X1 which was revealed at the 2012 Los Angeles Auto Show. The limited-run special edition variant of the all-new BMW X1 arrives in dealerships this month and features exclusive design and equipment features along with xDrive intelligent all-wheel drive. It will be available this winter only. 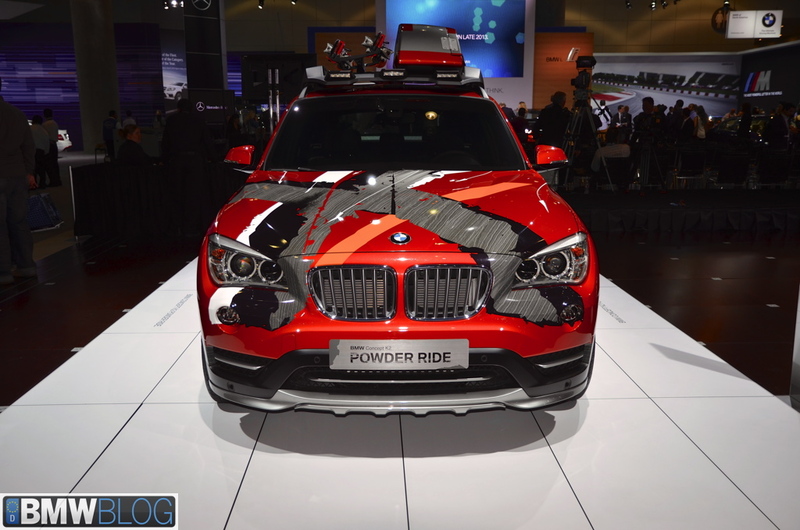 The base price for the X1 xDrive28i Powder Ride is $43,495 ($42,245 MSRP* + $1,250 Powder Ride Accessory Pack), while the more powerful X1 xDrive35i Powder Ride sells for $47,795 ($46,545 MSRP* + $1,250 Powder Ride Accessory Pack). Standard All-weather floor mats plus fitted luggage compartment mat. An exclusively designed pair of K2 LTD Powder Ride skis in form of an online coupon1).1) The customer can redeem this coupon online directly with K2 and select custom fitted skies and size he/she needs.